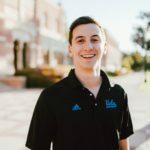 WESTWOOD, CALIFORNIA — After 2 years of listening to his roommate exclusively play Wonderwall by Oasis, 4th year computer-science major Greg Hartman has confirmed that the aspiring acoustic guitarist was now attempting to learn Im Yours by Jason Mraz. “It kind of makes me feel I am on a bus to a middle-school field trip but its not the worst,” Hartman said as his roommate played the first 10 seconds of ‘Im Yours’ before switching back to “Wonderwall”. ‘At least now when he picks up the guitar, theirs a moment of excitment – will I be treated to VH1’s 35th Greatest song of the 90s, or will he play literally anything else instead’? At press time Hartmans’ roommate gives up on rehearsing, stating that their was none purpose in playing with out any woman present.